Business signs have grown and evolved over the last 600 years with new technology and design but have never lost their importance to society. 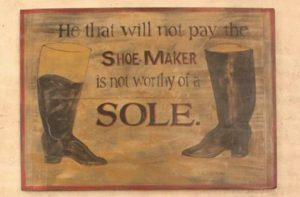 Some of the earliest business signs were for pubs and taverns in the 14th century. These pubs started the trend of symbolic signs with a simple image (Key = Locksmith, Shoe = Shoemaker). These symbolic signs continued to grow in both popularity and size throughout the 17th and 18th centuries. Business owners decided that to out-promote their competitors they needed the biggest sign; some signs would span across the whole street. In 1797, the first sign regulation law was passed to protect citizens from walking under the dangerously heavy signs. In 1840 the first gas-lit illuminated sign was used at the P.T. Barnum Museum. This started the revolution of illuminated signs, and even though we don’t use gas within signs anymore this changed businesses forever. 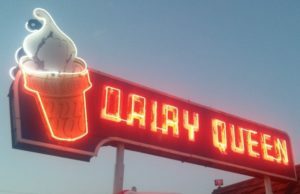 With the introduction of incandescent light bulbs in 1879 followed by neon tubes in the 20th century, signage took another jump forward and has landed us where we are today. Now you can find an array of neon signs, LED lighted signage & even digital messaging boards. Although a lot has changed over the centuries, signs are still the greatest way to attract clients to your store. At ABC Signs, we are proud to continue on with the tradition of great signs to promote any business. If you would like a free consultation please contact us today.